Jonah doesn't want anything to do with the people God sends him to. But God's ways are different from Jonah's—and that's a good thing for those people . . . . In the story of Jonah, God calls an unlikely prophet to preach to an unlikely, enemy people. Jonah the prophet doesn't want anything to do with those people, but God has other plans. We soon see that God's ways are different from Jonah's—and that's a good thing for Jonah's enemies. 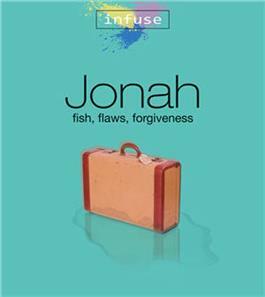 From this story we learn not only about Jonah's adventures and God's ways but also about ourselves. We might even notice that Jonah acts a lot like we do sometimes. But—thank God!—that's not the end of the story. . . .
Includes five inspirational readings that follow each lesson.